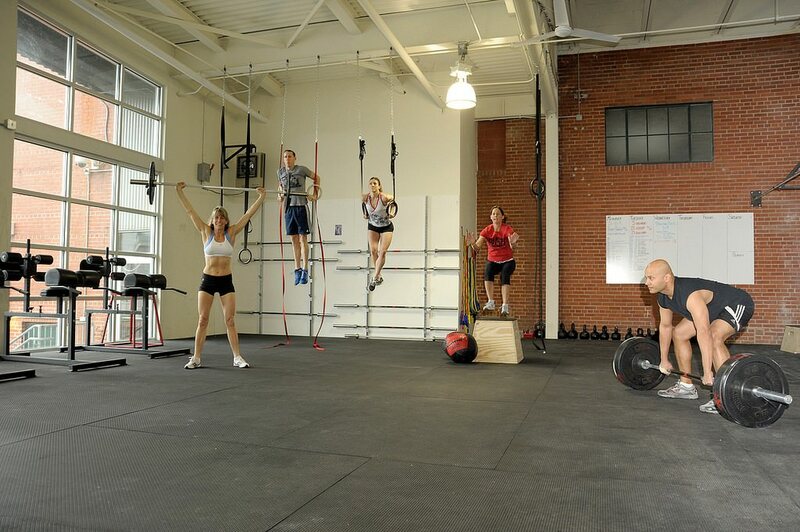 CrossFit develops you from the inside out, from the core to extremity by training you in Gymnastics, Olympic/Power Weightlifting and short high intensity cardiovascular Sessions, all within 1-Hour. CrossFit prepares you for everyday life. The workouts are highly intense and short, taking anywhere from 5 to 40 minutes to complete. CrossFit workouts typically combine explosive exercises done in a circuit format: One exercise follows right after the next, with very little (or no) rest in between. 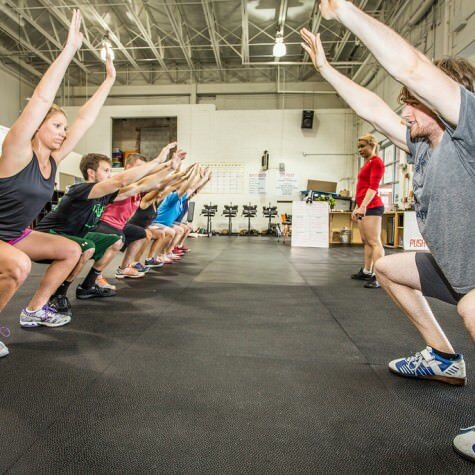 CrossFit exercises involve the whole body and include pushing, pulling, running, rowing, and squatting. The exercise equipment consists of barbells, bumper-plated Olympic weights, plyometric boxes, medicine balls, dumbbells, and kettlebells. 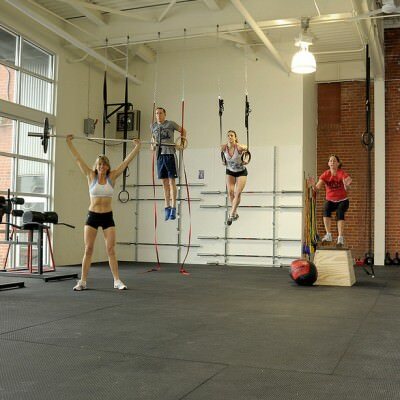 Pull-up bars, climbing ropes, and gymnastics rings. The only cardio equipment you will see are rowing machines. If you want to run, hit the road in the surrounding area. The workouts are completed in a group setting. Everyone does the same WOD (workout of the day). There are a large number of WOD routines and they are always changing. 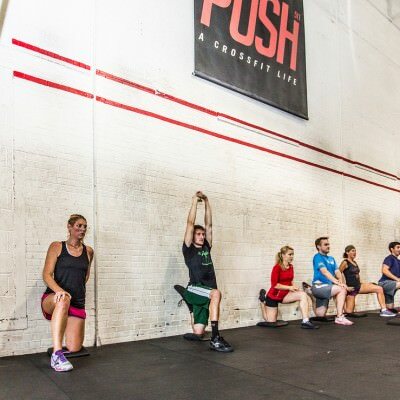 This adds to the excitement of each CrossFit workout and decreases the risk of becoming bored. CrossFit is applicable to all ages and all physical conditions. Everyone does the same workout but the intensity and load is modified to fit each person's ability. CrossFit is evidence based fitness and stresses results. The numbers on the calendar mean nothing; rather HOW DO YOU FEEL? CrossFit develops increased power by moving large loads (your body or your body + weight) over long distances and doing it quickly. Every class is one hour long, we ask that you arrive on time or a few minutes early to get settled in and warmed up. The coach will call the class together at the start of the class and explain the hour. 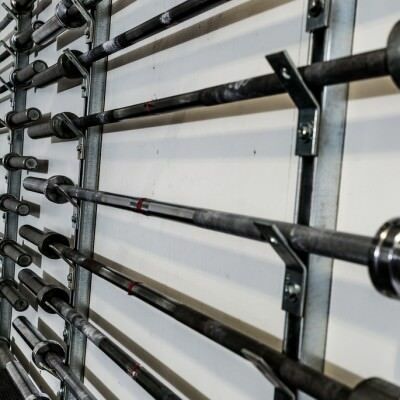 The coach will demonstrate all movements and the PUSH511 standards. There will be instruction if needed with PVC pipe, barbell, etc. The class will start with group mobility, then skill work & possibly strength work depending on the main workout. After that, time is given to set up for the main workout, warm-up to the WOD weight and form review. Once everyone is ready it’s 3...2...1… GO Time. Workouts average 20 minutes but can be anywhere from 5 (those are the worst) to 40 minutes. Once the workout is completed everyone is asked to put everything away and clean up their area. Then stretching and cool down. High fives all around and the hour is complete. Be on time. If you are 5 minutes late there is a 30 burpee penalty. This is to get you warmed-up quickly and to allow you to jump in with the rest of the class. 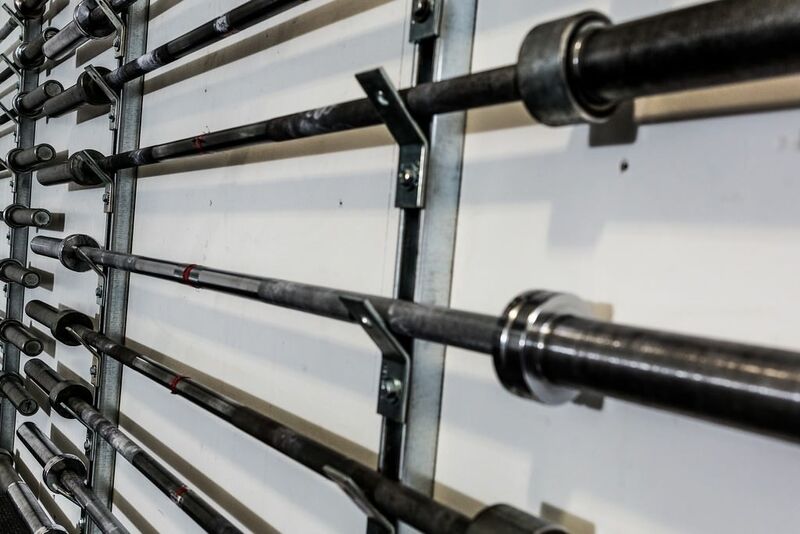 If you are more than 5 minutes late you can either wait until the next class or pick from these three pre-selected workouts, 150 wallballs, 2000 meter row or 100 burpees. Introduce yourself - Cheer for others - Clean up when you are done - HAVE FUN!! We have 8,000 sf with 4,500 sf of main gym space with tons of fans and windows plus an additional 3,444 sf (The Beast Cave) where we hold Foundation Classes plus area for strength training, platforms, jerk boxes. Our men’s and women’s bathrooms each have two showers. We do not provide towels but we do have soap and shampoo. We have a water fountain with a bottle filler and we provide plastic cups, we just ask that you wash them out in our kitchen sink before you go. We have cubby holes to stash your stuff while you get your sweat on. Tear your hands on that last pull-up we’ve got you covered with band-aids in our first aid kit. We also sell tape if you need it. Our facility is heated and cooled by mother nature so dress for the temperature. Bathrooms do have heat & AC. Layers are advised in the winter as we are not afraid to go for a run in February. Bring a water bottle to fill in our water fountain. If you’re a sweat ball, bring a small towel. Last bring your sense of humor and adventurous spirit. Guaranteed good times. Incredible coaching staff, programming that pushes you to your limits, and a wonderful community feel. I can’t believe how my life has changed for the better over the last year! Thanks for your passion. It's contagious. 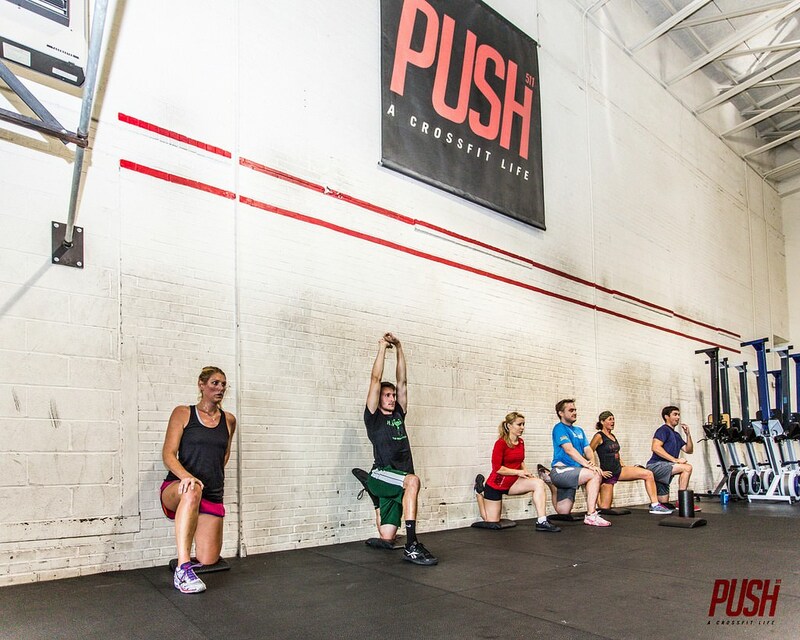 I cannot say enough great things about PUSH511! PUSH enlightened me & gave me the competitive atmosphere I had been missing since college. Always look forward to a new personal challenge every day at the box, and it IS the community that keeps me coming back! We have a variety of plans and programs that will work for you.